This June F295 celebrates its 10th anniversary as a leader in the exploration of contemporary photographic practice during a time of unprecedented change. The industries long romance with chemicals and silver halides as the basis of mass, commercial photography has ended, but in its place a generation of photographers – informed by a keen knowledge of history and technique- are creating a new paradigm of informed use. This years F295 symposium offers another group of practicing photographers delivering presentations that provide insight into their method of work and how their decisions are informed by the unique dialog that exists between subject, content, and photographic process. We hope you will consider joining us at this unique and compelling photographic event. Over the past 10 years F295 has hosted over 100 unique lectures, dozens of sold out workshops, and 11 exhibitions! We look forward to having you with us for another inspiring and ground breaking event. The diverse and creative group of artist photographers that assembles for this conference is unlike any other. You will leave this symposium not only fueled with creative ideas but with new and stronger relationships with others in the field. Here’s a summary of what we have in store for you this year. F25 is extremely pleased that photographer Joni Sternbach will be discussing her thoughts and ideas around the creation of her magnificent body of work Surfland for this years opening lecture. 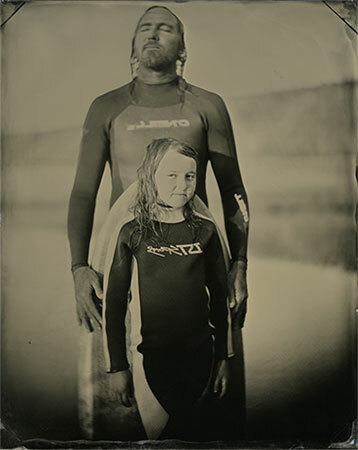 Sternbach has travelled the world photographing surfers, using the wet plate collodion process, in their environment as a means of exploring questions of identity and attempting to capture the spirit of freedom and adventure intrinsic to the American psyche. Don’t miss this fabulous lecture! 9am-5pm: Lectures and Round Table discussion at University of Pittsburgh’s Frick Fine Arts building auditorium. Canson’s Fine Art Paper Seminar with Canson and others! See Saturday’s list (above) for this years workshop offerings!